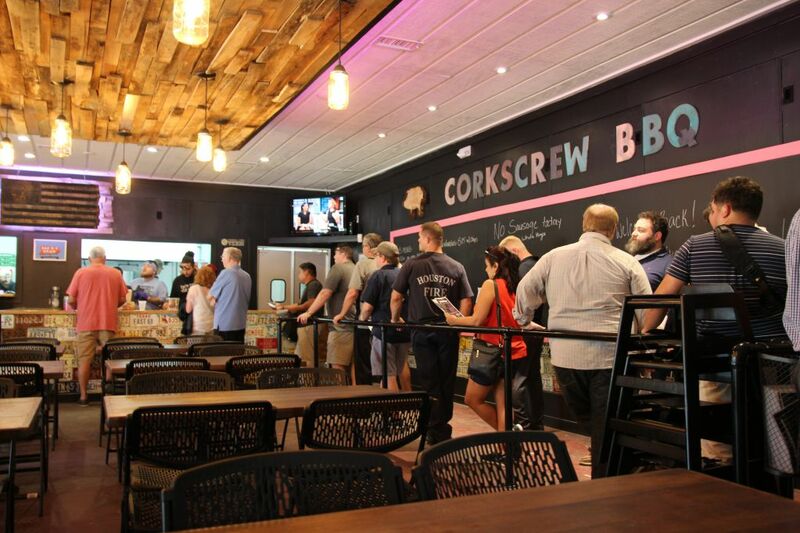 The Buckman family swung open the doors of the new Corkscrew BBQ location in Old Town Spring on Thursday to a crowd of enthusiastic carnivores. Though it was a soft opening with the grand opening scheduled for Saturday October 3rd the word had spread and the line was long prior to open. My coworker Ralph and I didn’t arrive until nearly 11 and there already was a healthy line. 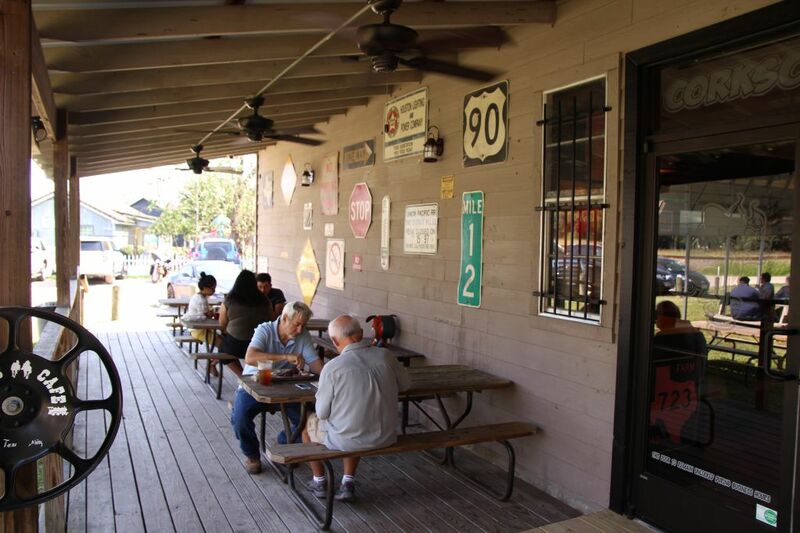 The new location is a nicely remodeled building which formerly housed Hyde’s cafe and lends itself well to a barbecue themed restaurant with a mix of old school wood and Edison lights. 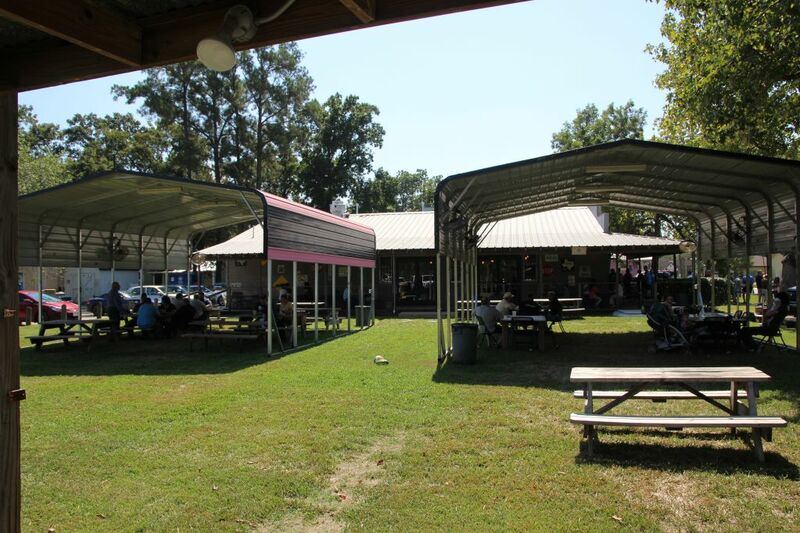 The 2,400 square foot building includes an indoor dining room, covered patio with tables, and sits on a nearly 2 acre lot where a large grassy area features the old canopies from their Budde road location with more seating area as well as a stage. A second Oyler was added and expect sell outs a little later than the 2-3pm times from the old location. 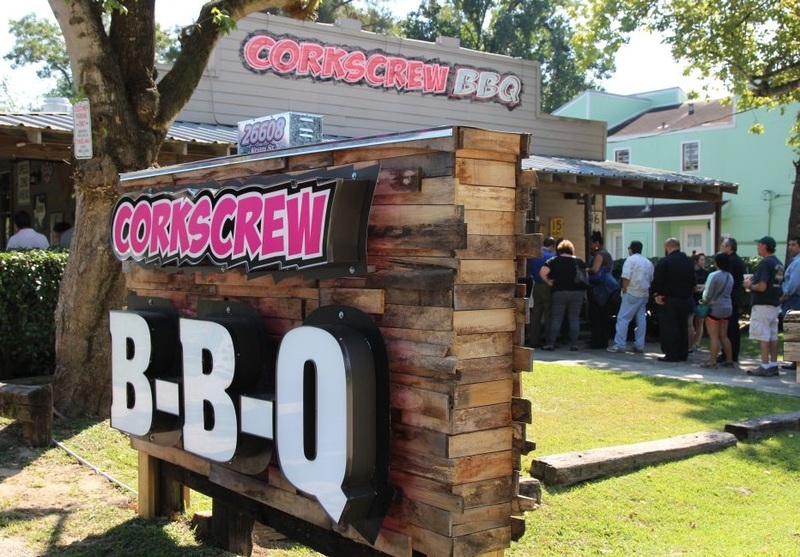 Corkscrew is also looking to offer evening service in the future. Two cashiers kept the line moving at a reasonable pace for barbecue and the wait after ordering was less than five minutes for us. The Creekstone natural prime brisket was top tier and at $18 a pound was only $1.05 more than the trailer location. Pork ribs here are fantastic and a whole rack will only set you back $23. I ordered brisket, a couple of ribs, and tacked on some highly recommended and very moist turkey to my order. All of it was great and my only regret is that it wasn’t Saturday; that is the day to grab a beef rib for only $16.50 a pound. 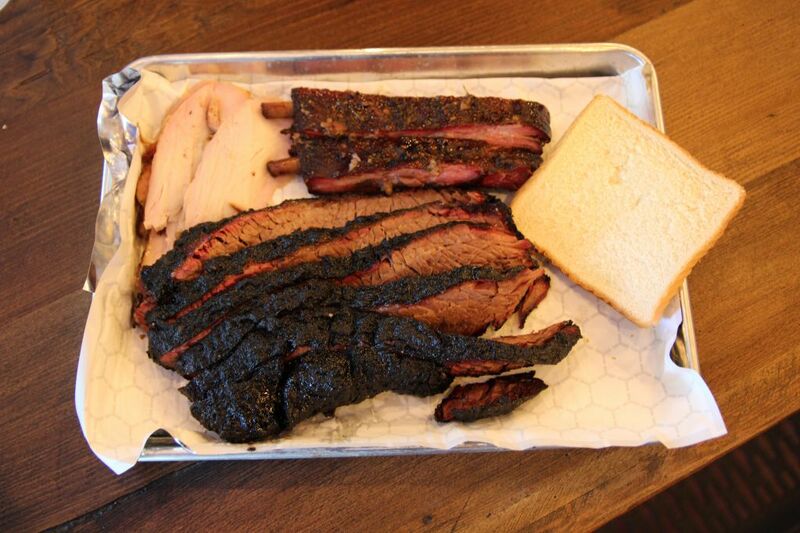 Ralph ordered a sliced brisket sandwich and a large pork rib and chowed down. As with the trailer, you’ll need to get here early if you want to eat lunch. If numbers are still available, grab one from the notebook and you won’t have to stand in line until right before open but if they are already gone be prepared to stand. With the larger capacity the second Oyler brings, a tip for the adventurous is to head out there between 2-3 PM when the line and the meat options will be short. This marks the third recent opening of a quality dine-in barbecue restaurant in the Houston area (Gatlin’s, Pappa Charlies, and Corkscrew), and with The Pit Room launching in November in the Montrose area this an incredible time to be a barbecue lover in Houston!